Corporate sponsorship opportunities still available for our 2016 Trucking for a Cure convoys! Support from sponsors of this event for the past seven years have gone a long way to support our cause and help make this event a success. 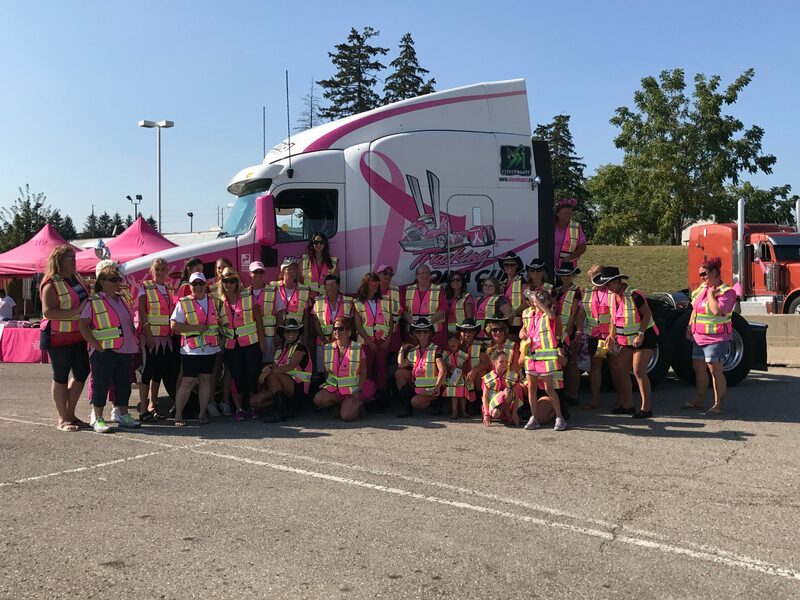 As a community event partner each year we proudly contribute to the foundations effort to generate awareness about breast cancer and to raise funds for the breast cancer … Continue reading Corporate sponsorship opportunities still available for our 2016 Trucking for a Cure convoys! We are proud to announce two new sponsors for 2016. Welcome Pop's and Ruby's as new pink sponsors and Outer limits as new bronze sponsors. We appreciate your support. New Links and Registration Pages Available on TFAC Website. We have updated our donation and registration links for 2015. Drivers and sponsors are urged to register early for both event. last year the convoys raised over $75,000 dollars in support of The Canadian Breast Cancer Foundation. Help us exceed that total this year and Drive Out Breast Cancer 1 Truck at a Time! Click … Continue reading New Links and Registration Pages Available on TFAC Website.